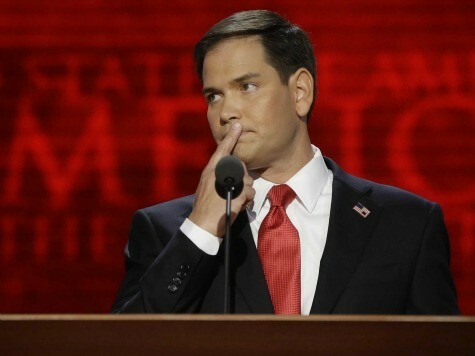 Sen. Marco Rubio (R-FL) declined Sunday to weigh in on the scandal surrounding Gov. Chris Christie’s (R-NJ) administration’s closure of the George Washington Bridge seemingly to punish the mayor of Fort Lee, New Jersey. On CBS’s Face the Nation, Rubio said he didn’t have any knowledge of the controversy aside from what has been reported in the media, and until more information comes out, observers should “reserve judgment” on Christie. I think it would be a mistake for me and others like me to comment on this. First of all, we don’t know all the facts. I think this is a story that’s still developing and we should reserve judgment. And beyond that, I’m just not–don’t know that much about it, other than what I’ve seen reported in the press. I really don’t have much to add, other than that. And I wouldn’t delve into the political speculation as well. That would be a mistake.